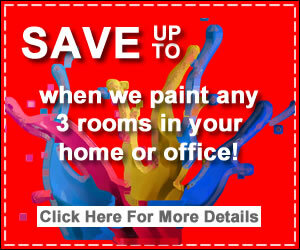 Are you planning on painting your home anytime soon? If so, you want to make sure that you are properly prepared to do so as best as you can. In this article, we will be going over some of the top things that you should be aware of for when you ultimately decide to paint your home. 1. Look For No or Low VOC’s. This is the first thing that you are going to want to look for when you are trying to find paint for your interior walls. What are VOC’s? VOC’s are Volatile Organic Compounds. Have you ever walked into a home and smelled the fresh paint? If might have even given you a dizzy feeling. That is what you want to avoid when you are choosing the paint for your home. Therefore, you will want to look for either low or no VOC’s in your paint. The good news is that you should be able to find all kinds of low to no VOC paint options on the market in places such as Benjamin Moore. 2. Consider The Color and What Sheen You Want. Because walls are typically not built as straight as we would like them, you are going to want to utilize an eggshell and/or flat finish paint on your walls in order to properly be able to hide the imperfections that result from human error. While on the ceiling, because you will already not be able to fully see all of the imperfections, you can go ahead with flat paint. However, at the same time, you might want to add more interest to your ceiling. The best way to do this is by adding a little bit of light through a glossy finishing. The two dirtiest rooms in the house are going to be the kitchen and the bathroom. Therefore, you want to be aware of this when you are painting your home. In the kitchen and bathroom, you might want to use semi-gloss paint because it makes it much easier to clean. Also, on doors and trim, you will want to go with semi-gloss paint because it is very easy to clean on a regular basis and these are the areas that really gather the most dust and dirt. As you can see, there are plenty of different things that you are going to want to look for when you are attempting to select the best paint for your home. Always try to keep an eye on paint without and/or with little VOC’s. Also, you will want to consider the color and the sheen of paint that you want because this is going to significantly impact how your home looks once painted. Also, you will want to consider the actual rooms that are most likely to be dirty because you will want to make special exceptions for these rooms and try to find the paint that is going to work the best for it.